Driving into the modern day city of Bethlehem may have been one of the more intimidating moments of my trip to the Holy Land. Before we left Jerusalem to head to Bethlehem, our Israeli tour guide had to get off the bus . . . as an Israeli citizen, he was not allowed to visit the city. At first, this reality did not fully register with me. When we drove up to the military checkpoint entering Bethlehem, however, I understood more of the situation. A large red sign stood near the turnoff into Bethlehem (a town in the West Bank): “This road leads to Area ‘A’ under the Palestinian Authority. The entrance for Israeli citizens is forbidden, dangerous to your lives and is against the Israeli law.” This sign drove home the harsh reality. It also was not what I expected. Somehow I thought I would see a sign that says, “Welcome to Bethlehem – Birthplace of the Prince of Peace.” Instead it said, “if you come in here you may die.” This town needs a new public relations director! Of course, the sign represented the political reality more than a true threat to our physical safety. Relations between the Jews and the Palestinians is always tenuous, especially in the areas of the West Bank. As a foreign traveler, I found both Jews and Palestinians were eager to host us at all the sites, welcome us into their shops and restaurants, and greet us with a warm smile and friendly handshake. Signs like the one entering Bethlehem were the reason why so many friends back home kept inquiring of our safety while we traveled, but really felt out of place given our experience in the country. 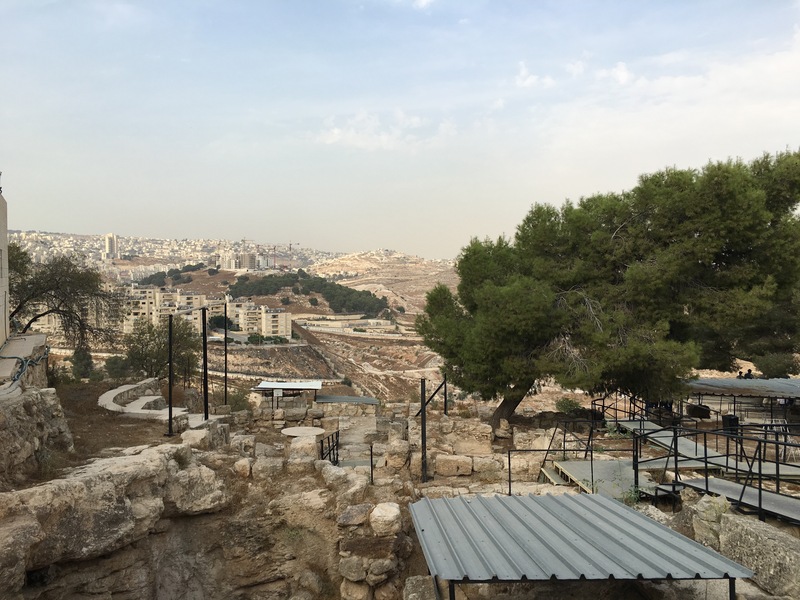 As a matter of fact, right after we entered the city gates of Bethlehem, our bus was boarded by a very friendly Palestinian Christian man who served as our guide inside the city of Bethlehem. I never felt the least bit threatened or unwelcome in the areas of the city we visited. The Shepherd’s field where the angels visited the shepherds on the night Jesus was born. The Church of the Nativity, commemorating the traditional site where Jesus was born. Jerome’s cave . . . a dark cool spot where Jerome worked for 30 years, translating the Bible from Greek and Hebrew into Latin . . . a work that was completed in 386 AD and has been called the Latin Vulgate. 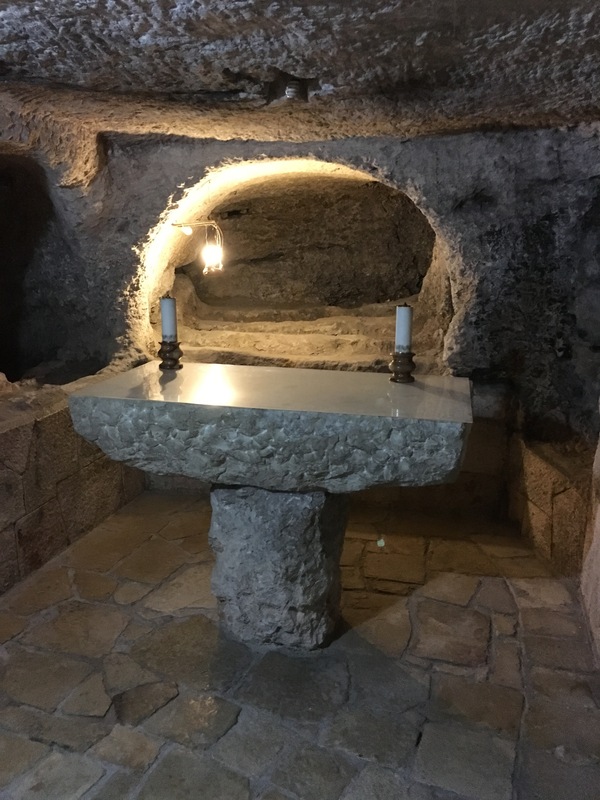 Beneath the church of the Nativity, there was one more thing we saw that made an impact. Next to Jerome’s cave, our guide made a comment that at this site, a mass grave was discovered revealing a number of infant bodies dating back to the first century. Of course, this jives with the Matthew 2:16-18 account of Herod the Great killing infants in Bethlehem to try to eliminate Messiah before His life could really get going. Seeing that grave, reminded me that Bethlehem is the birthplace of the Prince of Peace, but He is needed because we live in a world of war. From the very beginning, Jesus faced opposition that wanted to kill Him. From the very beginning, those who associated themselves with Jesus have been treated harshly because of Him. In a sense, these dead infant bodies were some of the very first martyrs. Ever since that moment, Satan has attempted to lash out against Jesus by attacking His children. 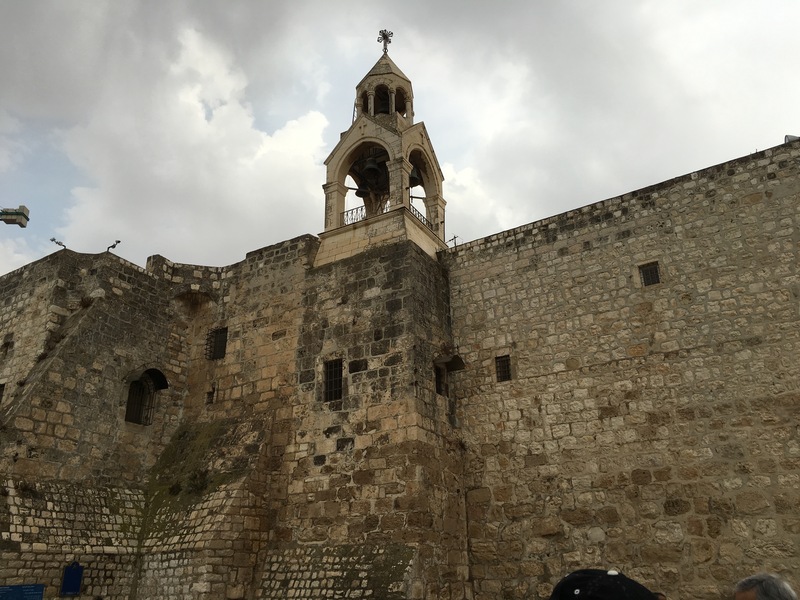 Our Christian Palestinian guide shared with us the harsh treatment Christians have received from Muslim extremists in Bethlehem even today. Though the times have changed, the opposition to Jesus Christ still remains. Visiting Bethlehem reminded me that we still have a need for the Prince of Peace to fully materialize the Kingdom promised by God. We still live in a world with signs that point to sin’s deadly consequences. However, one day, when Jesus comes back again, these signs will be taken down. The graves will be emptied, as the martyrs join Jesus in a triumphal procession through the earth. The Prince of Peace will one day make good on His promise in places like Bethlehem . . . and Oklahoma . . . and wherever you live. The hopes and fears of all the years will be met in Jesus that night.